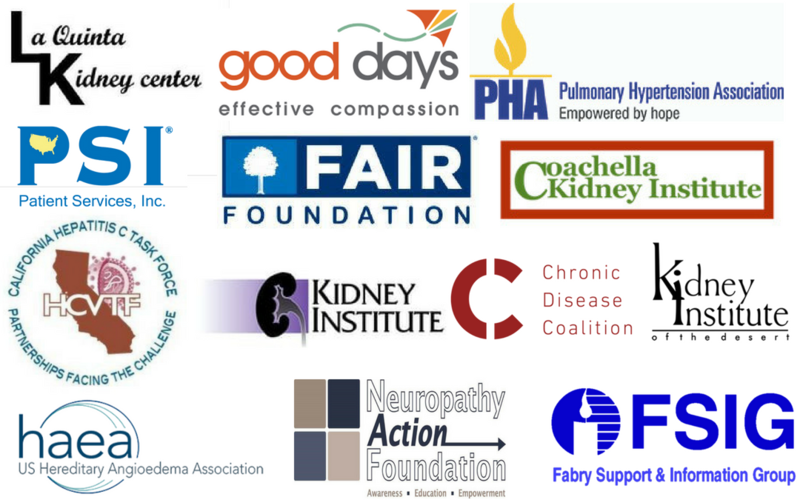 The Chronic Disease Coalition and more than a dozen other patient advocacy organizations are calling on lawmakers to reject California Senate Bill 1156, which would prevent many people from being able to choose their own insurance plan if they rely on charitable financial support to pay their medical bills. Sent by the California Hepatitis C Task Force, Chronic Disease Coalition, US Hereditary Angioedema Association, Pulmonary Hypertension Association, Patient Services Incorporated, the Fabry Support & Information Group and others, the letter demonstrates that S.B. 1156, initially focused in large part on singling out kidney dialysis patients, has broad implications for patients with many other chronic diseases as well. As introduced by Senator Connie Leyva, S.B. 1156 would potentially eliminate access to charitable assistance programs for some of California’s most vulnerable people: patients battling end-stage renal disease (ESRD), or kidney failure. While this bill specifically targets ESRD patients, Californians battling cancer, rheumatoid arthritis and other conditions also may rely on charitable financial assistance to help afford their health care. For many people, charitable assistance programs ensure they don’t have to choose between treatment and paying for rent or food. The bill gives virtually unchecked power to insurers and creates unnecessary and harmful barriers for patients to overcome. For example, S.B. 1156 would require patients to go through a lengthy review process while their insurance company determines whether to allow them to pay their bills using charitable assistance and requires patients to apply for Medi-Cal even if they don’t want to switch to Medi-Cal from their current health plan. “This is an unnecessary burden for patients,” Bill Remak, chairman of the California Hepatitis C Task Force, wrote in the letter. “If a patient receiving premium assistance is not on Medi-Cal it is either because (1) they do not qualify for the program or (2) they choose not to be on Medi-Cal and instead on a private plan. If the California Legislature passes this bill, it would create the foundation for insurers to engage in disease-based discrimination and would have disastrous impacts on California patients. For decades, charities have provided an invaluable safety net for patients at no cost to the public. The Chronic Disease Coalition urges the California Legislature to oppose this bill, which will effectively force patients off of their current health plan and on to a public plan that may not meet their needs. The bill was recently passed on the Senate floor and will move through the legislative process in the House of Representatives. If you live in California, you can contact your representative and urge them to reject S.B. 1156 by clicking here.